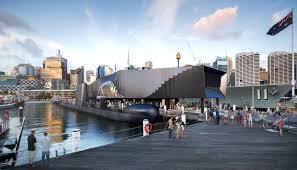 The Australian National Maritime Museum in Sydney is Australia’s national center for maritime collections, exhibitions, research and archaeology. The museum presents a changing program of stimulating exhibitions and events to share Australia’s maritime history and connect the stories, objects, people and places that are part of Australia’s narrative. The museum has one of the largest floating historical vessel collections in the world, featuring the renowned replica of Captain Cook’s HMB Endeavour, the former Navy destroyer HMAS Vampire, the former Navy patrol boat HMAS Advance and former Navy submarine HMAS Onslow. The permanent and temporary exhibitions and National Maritime Collection explore and represent Australia’s close connection to the sea, covering Indigenous Australian’s deep connection to ocean, early exploration, immigration, commerce, defense, adventure, sport, play and identity. The museum gives local and international visitors a chance to connect to Australia’s maritime past and present in an innovative way.